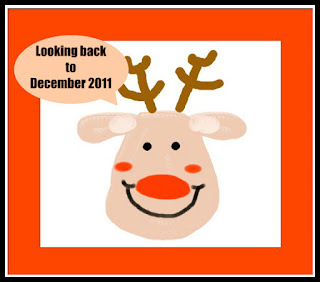 Towards the end of each month in 2011, I revisited some articles I'd written in 2009 and 2010. Not only did that mean new readers of the blog might find something useful otherwise buried in the archives, but it also reminded me of content I could refer to when I wrote new articles. And here it is December 2012! Where did that year go??? Let's look back to some popular posts from last December. Don't forget you can use the right sidebar to find earlier posts, too. Click Creating, Learning, Reviews, Reading, Writing and Celebrating to explore those themes, or try the Blog Archive to browse by months. If you missed my extra special 2012 posts crammed full of fun Christmas resources to use with kids, check out: The All-singing All-dancing Christmaspalooza Resource Hampers - One, Two and Three. The Book Chook will be taking a break from December 22, 2012 - January 8, 2013. Happy New Year, Susan. May you have a lovely 2013 full with wonderful children's books. From your old bird watching friend, Paula in the Netherlands. @Paula KuitenbrouwerGelukkig Nieuwjaar! May your 2013 be filled with beautiful art work - as I'm sure it will be! JDaniel would like digit art. I will have to try it with him.